Examples Make one with every member of the family. One pic on both sides and made from sturdy acrylic. 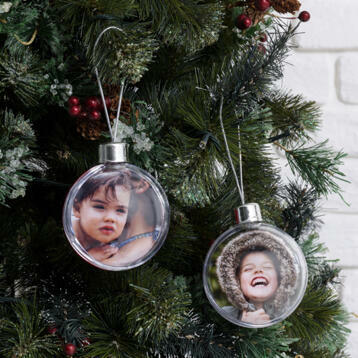 Ready to hang on your beautiful Christmas tree!